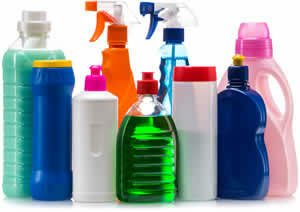 Cocamidopropyl betaine used as a detergent in most ‘natural’ cleaning products was voted allergen of the year by the American Contact Dermatitis Society in 2004. Nicole and her husband Mark have devoted the past nine years to create a range of products that would revolutionise the industry and set a benchmark for cleaning products in health food stores. The Abode Cleaning Product range has been specifically formulated from the ground up to ensure they are devoid of nasty chemicals like known allergens, skin irritants and hormone disrupting chemicals. Whilst the majority of ‘green’ cleaning products are environmentally friendly, few have been developed to consider the health of your family. Running a registered training organisation in healthy homes, we realised early on that there were alot of problems with the cleaning products marketed as natural. For a start, most of them do not work well, they are considerably more expensive than supermarket brands, and they are often loaded in chemicals that are lung, skin and eye irritants. Why would you put them on your hands or in your clothes? Being parents ourselves we understand what you expect from the products you buy. We have gone to extraordinary lengths to ensure that our products work as well as the leading brands, comply with the new European REACH Directive without the use of nasty chemicals. We manufacture the entire range from the ground up ourselves – no third parties involved, to stringent standards using the best ingredients that money can buy. For example, our Tea tree Toilet Gel is made from food grade xanthan gum found in many food products whilst our pure Eucalyptus essential oil is sourced from a planation in New South Wales. Australian made and owned because we love this country! Where can I buy Abode products? Abode is available throughout many health food stores, eco stores, co-ops and organic grocers across Australia. Refer to the Abode website. Victoria: Terra Madre (Northcote), Kew Organics (Kew), Fertile Ground Health Group (East Melbourne), Australian College of Environmental Studies (Warrandyte), Just Healthy (Heathmont), Des Lardner Organic (Horsham), Ikoleji (Beechworth), Go Vita Stores (Greensborough), Six-S-Organic (Mount Eliza) and many more. For more stockists, click here. NSW: About Life (Rozelle), Taste Organic (Crows Nest), Down To Earth Organics (Lismore), Organic Plus (Erina) 02) 4365 0978; Crafty Shoes (Kendall 02 6559 4524); Canary in the Room Tanya Heaton 0428 859 688 (rural NSW) and Go Vita Stores. For more stockists, click here. Western Australia: Health Kick (Bicton, Fremantle, Hillarys, Perth, Rockingham, Spearwood, Karrinyup), My Health Market (Peppermint Grove, Willetton, Midland), Real Food Revolution (Wangara), For more stockists, click here. ABode cleaning products Distributors: the entire range including bulk sizes is available through Oborne Health Supplies (VIC/SA/NSW/QLD); Blue Pumpkin (VIC), Alinal (WA) and Rener Health Products (WA).